When the Sun crosses the equator at the Spring Equinox, the fire’s of Aries ignite, to awaken the seeds of creation, quickened last month by the waters of Pisces. Sprouts are popping out of the ground. Blossoms and leafs are emerging from their cocoons. Life is bursting out everywhere, as the Dance of the Seasons begins a new cycle of growth. With this Aries Sun, the light of day dominates the sky for the first time in the year. With this surge of light, there are new things to see and new worlds to explore. It is time to pursue a new creative adventure! When an Aries friend gets involved in one of your projects, expect a rapid acceleration of activity as they assist you in getting your creative endeavor “up and going”. However, all too quickly, they will likely run off to explore some new venture. You likely will have to complete the task on your own. When these rambunctious Rams offer their assistance, many will be forceful and overbearing, as they express their view on what needs to be done. In the process, they will encourage you to be decisive, independent, and fearless in your pursuits—except for when you disagree with their opinions! It’s a losing battle to argue with an Aries Sun, so just smile and let them think you agree with what they said. With this month’s journey in the Dance of the Seasons, spring cleaning begins. It is time to clear away the emotional clutter of our past experiences, clarify the purpose of our being and start a new direction in our lives. A similar experience occurs when one awakes at morning’s light. That is why sunrise dictates one’s Ascendant—I.E., the Aries’ ruled 1st House, where an individual’s self-awareness awakens, to face the Circadian Rhythms of a new day. The awakening of consciousness is associated with the brain, which is physically enclosed within the head, the part of the body ruled by Aries. Thusly, when Aries charges into action, the battering horns of the Ram lead the way. Note how the upper back arches sharply to the front as the lower half of the body trails behind. Mars is the ruling planet of Aries (and traditionally, its also rules the feminine sign of Scorpio). This planet governs an individual’s physical metabolism, the muscular and urogenital systems, the adrenal glands and energy carrying blood—all of which contribute to an individual’s ability to be physically active and move about in the world. Aries’ associations include the color “red”, iron and diamonds, all thorn-bearing trees and shrubs, the military and warriors, and C.G. Jung’s Animus, the masculine force that both sexes project outward—to attract the feminine forces of others. In this month in the dance of the season, the cardinal fire of Aries runs strong. Thusly, all of the celebrities shown here display the driven fire and physical traits of an Aries Sun. Note the double-crown horns of hair, the long face, the prominent snout and the brows and eyes that sweep up and back from the front. Naturally, their personalities are altered by the other components in their astrological charts. 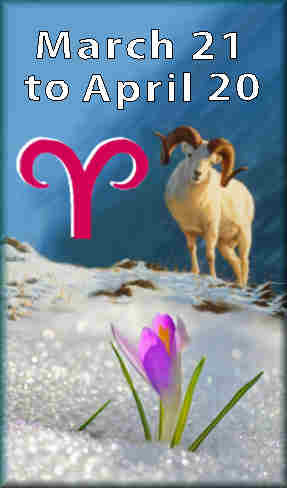 Notably, any aspect of Mars (the ruling planet of Aries) can strongly alter or enhance the traits of the Ram. This fiery actions of Lady GaGa are apparent when she performs, but her highly imaginative act seems to be highly orchestrated. (Her Mars is in Capricorn conjoined Neptune). Also, GaGa’s Scorpio Moon conjoins Pluto and sextiles Neptune. With this lady, the cardinal fire runs at full force, as she appears to be deliberately shocking, as well as seductive, gross and delightfully fascinating. Notably, it is her mutable Gemini Ascendant that impels her to constantly change her persona. It’s all done with every outrageous costume. Eddie Murphy (like Lady GaGa) also has a Scorpio Moon with a Neptune aspect. His Scorpio Moon/Neptune conjunction and their square to athletic Jupiter gives him the emotional and physical control to succeed in comedy (Trading Places) and physical action movies (Beverly Hills Cop). His Sun’s ruling planet Mars is in motherly Cancer trine to his Moon. This explains why he also has a gift for creating family films like Shrek and The Nutty Professor. Alec Baldwin is known for his short temper and occasional blowups and this can be attributed to his Aries Sun. However,with his Libra Moon, as we saw in 30 Rock, he also can be diplomatic and charming. 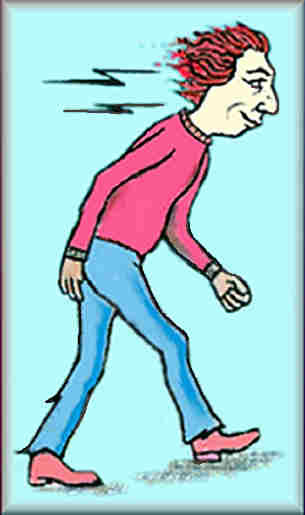 This Moon’s trine to his Mars in Uranus accounts for his erratic and bizarre mannerisms. With no birth time, his Ascendant is unknown, but this author believes that this proud Ram has Leo rising. Reba McEntire moves slower than the average Ram. Her Mars in Taurus stills the fires, while it gives her an earthy and resonate voice. She was second in line to Taurus Barbara Streissand, who (before the batch of new young millennium songsters) was the greatest selling songstress of all time. It was in Reba’s TV show Malibu Country, where she showed the homebody persona of her Cancer Ascendant playing a divorced mother. In that show, you could her become incredibly chatty when she reacted with others. Her Moon is in Gemini! Jackie Chan is a renowned star of action movies,who does most of his own stunts. (His Mars is in athletic Sagittarius opposing Jupiter). Furthermore, his Ascendant and Moon are both in mercuric Gemini. After performing his athletic stunts, he usually responds with a curious amount of chatter and rhetorical explanation. In the first quadrant of this dance of the seasons, the lessons of self discovery begin as the light of the Aries Sun helps all to recognize and empower one’s sense of self. In spring’s second month of Taurus, it is time to “still the fires” and focus on building objects of personal and substantial worth. The season ends with the stirring winds of Gemini, which prepare the individual’s mind to analyze his or her surroundings. With these three steps, the individual is ready to make the move into Summer’s light. 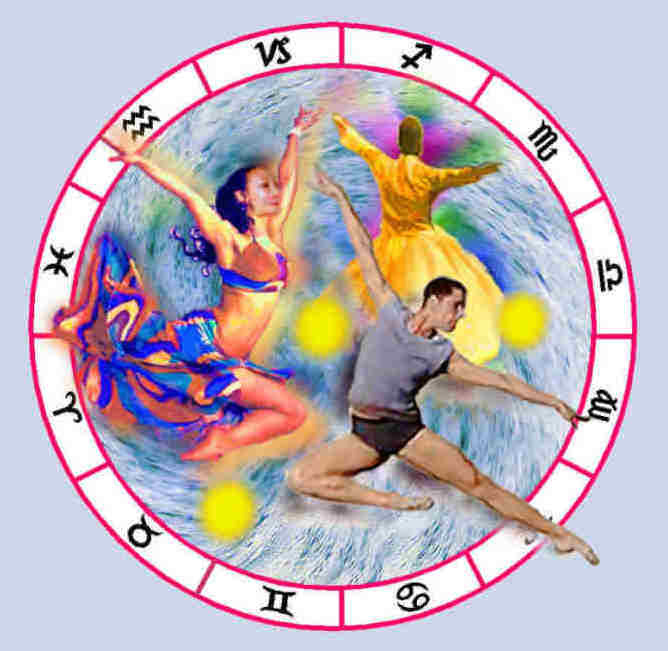 The next step in the Dance of the Seasons is Taurus.